A potent pre-workout powder. Boost your energy levels without the crash. Ideal for use during rugby games and training. 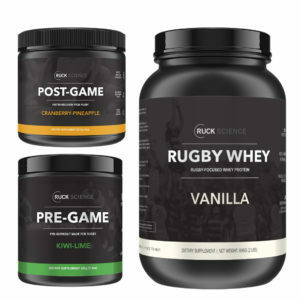 Our sponsorship program means your rugby club gets $2.60 when you buy Pre-Game. Find your club’s code. Mix half a scoop in your water before rugby training and game. Impose your will on the opposition with the only pre-workout designed for rugby players. Our new formula has no proprietary ingredients so rest assured you know exactly what’s in every scoop of pre-workout. Add a single scoop of Pre-Game to 16oz of water about 20 minutes before rugby games and training. PRO TIP: start with a half scoop if you haven’t taken caffeine-based pre-workout powders before. Pre-Game contains a full daily dose of caffeine in its anhydrous form. Caffeine has long been thought (incorrectly) to cause dehydration. In fact, it may have significant performance benefits to rugby players including increased motor-unit recruitment and fat mobilization. 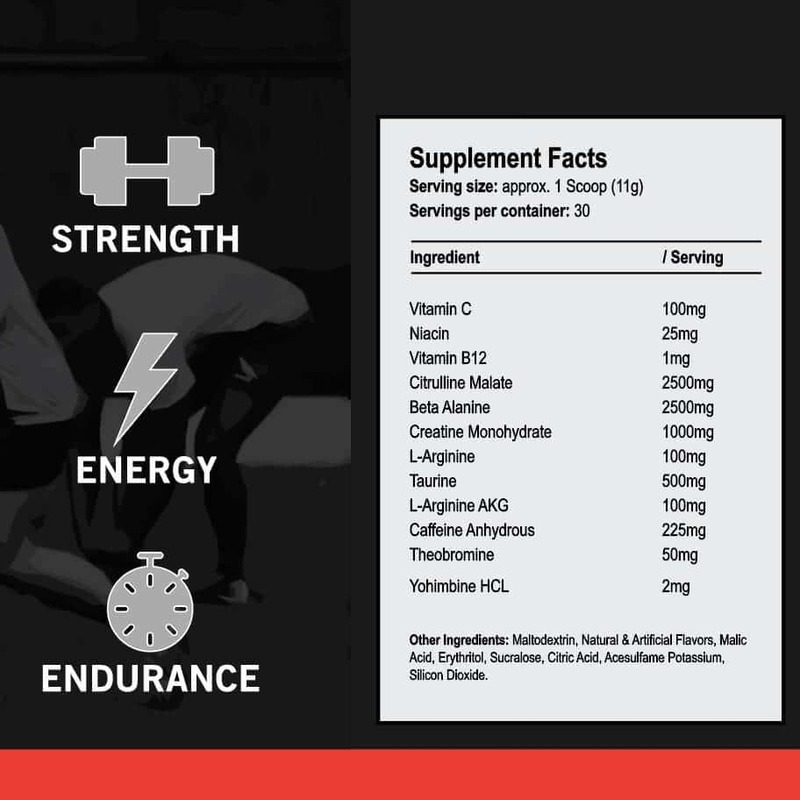 Our new Pre-Game formula has brought back Beta Alanine, one of the core ingredients in our original preworkout blend. Beta-alanine increases carnosine in muscles and the brain, and helps muscles resist acid build-up. 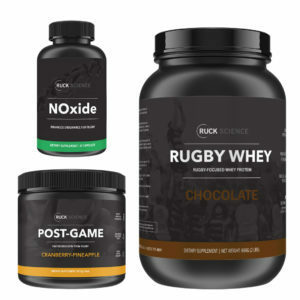 As part of our commitment to #keeprugbyclean, we’ve done away with proprietary blends in our supplements. 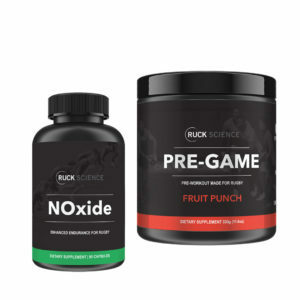 PRE-GAME will be one of first Ruck Science formulas certified by the Informed Sport program. Look for their logo, coming in 2019. So I have actually tried each flavor I like the fruit punch a bit more but the kiwi lime was also very good. The one thing I did like about the pre workout is the fact that there were no tingly feeling after taking it but provided focus and energy for days. This to me makes it the perfect pre workout for functional lifting sessions and practice possibly even games if you feel your energy levels are a bit short. I was kind of skeptical before trying this. I have never used a pre-workout supplement before so I wasn’t sure what to expect. I was surprised when I noticed a difference after using it. I was more energized throughout and didn’t feel like dying afterwards. Personally, I do not use pre-workout that often. However, when I do I only take half the serving size since the caffeine content is quite high compared to other pre-workout supplements on the market. First off, I really enjoy the flavor. When mixed, it does not taste too sweet and if it does you can always water it down. However, the powder does not mix well initially. So you’ll need to give it a good shake and some time dissolve. First time I’ve used a pre-workout, and man did it make a difference. Felt like I was working out asleep before and now I woke up . I thought that the pre-workout was pretty good. I have a high tolerance so I was two-scooping it. I wasn’t a huge fan of the fruit punch flavor. To me it has a very medicinal taste to it. Other than that I thought it was good. Had good kick, didn’t get all tingly, and felt it all the way through my workout. I first tried the old formula of the fruit punch via free sample packets. It mixed well, tasted like fruit punch, had a great initial boost, but a hard crash like others have mentioned. Still, I ordered a container of the new formula. The flavor is better and the crash is less severe but it does not mix as well – the new stuff is more powdery. I would recommend for your gym sessions and off-the-pitch training until you figure out how severely the crash will affect you, if at all. Great stuff and great way to support your local rugby club! 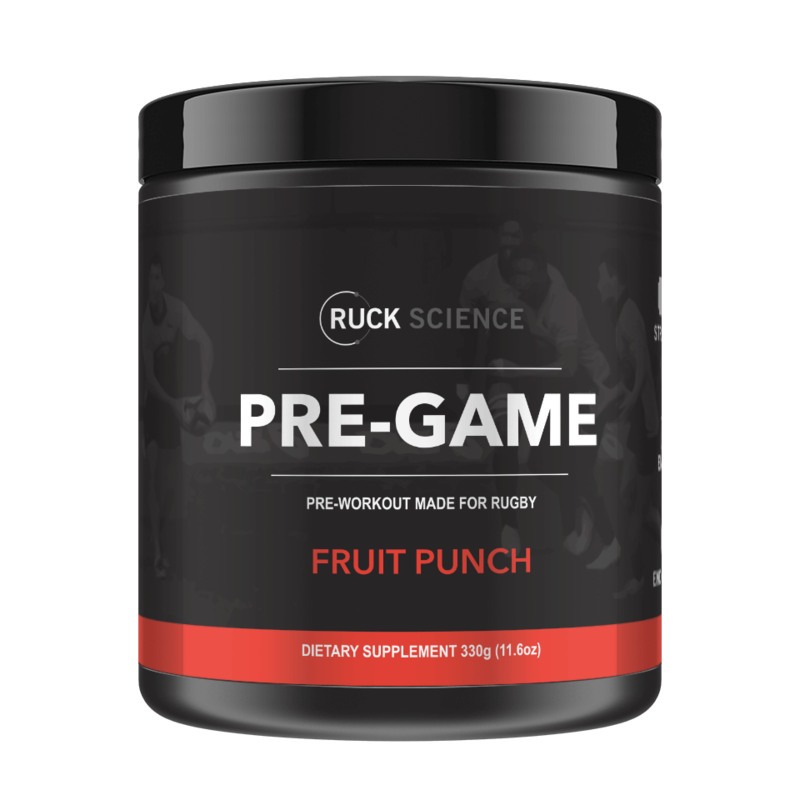 Great tasting (Fruit Punch) and had the necessary ingredients for rugby training as well as use for a pre-game formula. Only issue I had was that it did not mix well. Really like it because it has a really strong kick that I need for workouts and games but doesn’t make me too hyper, lose my focus, or crash after I’m done. I got the tiger’s blood and its kind of a sharp flavor that surprised me at first but I’d still highly recommend. Really liked the product, but “lost” almost a third of it because it became clumpy and almost rock solid.